Cybersecurity of field devices can be difficult to ensure. Substation devices such as protective relays are distributed across the utility service area and remote access to these critical assets is disallowed in most cases. 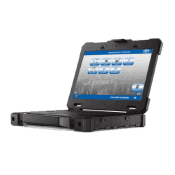 Also, the tablets and laptops used by the field personnel for working with critical substation assets often don’t have network connectivity and are not reachable. Due to these factors, essential ongoing tasks such as security patching and data transfer are challenging. But these tasks are essential to ensuring grid cybersecurity and are also subject to regulatory compliance standards such as NERC CIP. Doble innovative cybersecurity and NERC CIP compliance solutions derive from our keen understanding of the utility work processes, and are designed to improve productivity.